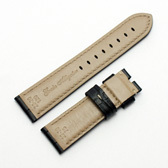 Please note: We are sold out of this strap in 24mm. We have other options here. Also, this strap is not suitable for use with a deployant clasp. Finest Quality, hand made matt black thick padded alligator grain leather watch strap with and rice coloured detail stitching. This great looking strap has the same measurements as some popular Panerai watch straps, making it a good low cost replacement. 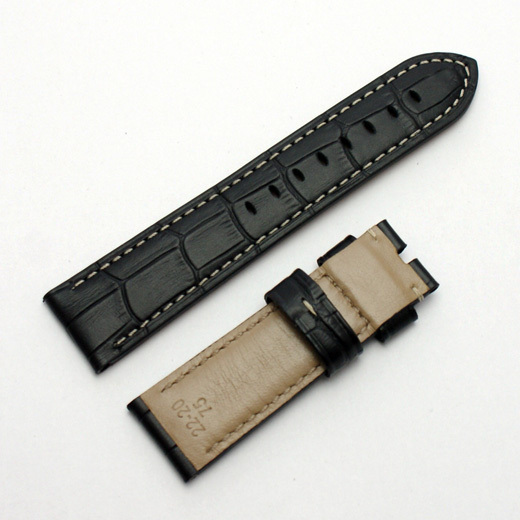 Part of the Condor 'High End' range, this is a thick, rugged high quality watch strap comes pre-fitted with Panerai style metal tubes at the lugs end. 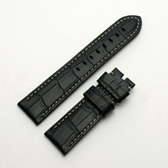 This strap will fit any watch where the distance between the lugs is 22mm or 24mm (depending on the size you buy). Like all of our products, it is brand new and in stock in the UK, ready for our super fast shipping.